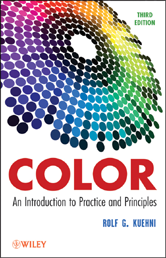 The fully updated Third Edition of Color: An Introduction to Practice and Principles continues to provide a truly comprehensive, non-mathematical introduction to color science, complete with historical, philosophical, and art-related topics. 2. What Is Color and How Did We Come to Experience It?